killa hearts you: pass the remote? 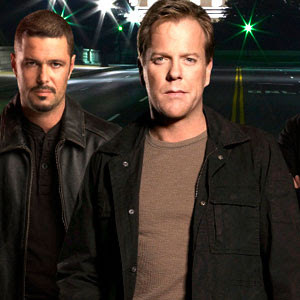 24 is back... yay! so exciting! Tony is alive!? & he's a bad guy? or is he a good guy? more importantly, my hero Jack Bauer is back. he's such a manly man... Keifer is a bit of a weirdo tho, that's why i keep my relationship strictly with Mr. Bauer. lissa and i have concluded that we don't like guys who attack Christmas trees or get arrested for DUI's. 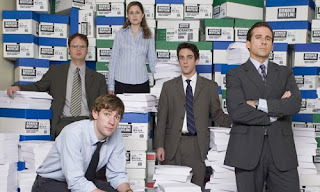 Does The Office need an explanation? A Double Shot At Love. Ok this is my most terrible guilty pleasure. what a horrible show. i managed NOT to watch the Tila Tequila one... but for some reason, i couldn't evade this one. oh the Ikki twins. how can you not watch a show where a contestant is eliminated for farting on a date? (sorry, Coop.) nothing will ever replace Flavor of Love though. sigh. How can you leave LOST off the list...the show is tight. New season starts 1.21.09.
i concur with your entire list EXCEPT for double shot...and don't lie...you know you're totally going to be into "for the love of ray j"!!! annnnnnnd don't call gossip girl crap. What were YOUR first 3 albums?